"I wasn't able to keep up with my friends when cycling, even after trying for 2 years. After about 4 months on Aaron's training plan, I could keep up without a problem. No more exertion headaches either. I even won 2nd place in a team duathlon recently, which was huge for me. Thanks Aaron!" 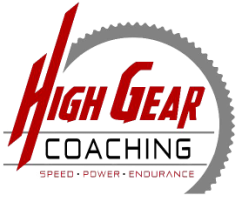 ​"High Gear Coaching delivers tangible results and brings enormous health and wellness opportunities to our community. The comprehensive testing they offer is extraordinary! No matter what level you are or how high the goals are that you set... true change is available here and now at High Gear Coaching!"